The next round of content for Plants vs Zombies: Garden Warfare 2 (titled "Trouble in Zombopolis: Part One") will arrive sometime this summer. Along with a whole litany of bug fixes and character tunings, this free update will add two new characters, a new map, and a new mini-boss battle for that area. The new map, Zombopolis, will be used for the game's "Herbal Assault" mode, which sees the plants invading zombie territory to take control of particular areas and culminates in completing a particular objective. It is my guess that the new mini-boss battle will be the final objective for that map. 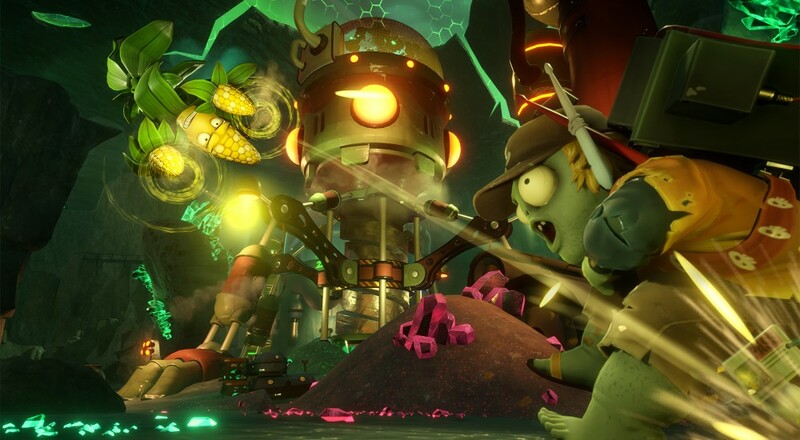 As for the two new characters, the plants will get a new Citron variant (Toxic Citron) and the zombies will get a new Super Brainz variant (Breakfast Brainz). Plants vs Zombies: Garden Warfare 2 is available on Xbox One, PlayStation 4, and PC. It supports two players locally and up to four players online for all of the game's modes. Be sure to check out our FAQ if you have any questions about how co-op works.